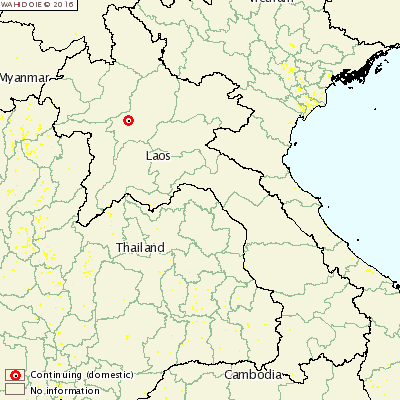 LAOS - An outbreak of highly pathogenic avian influenza in Laos' Luangprabang region has killed 47 chickens. The H5N1 strain outbreak occurred on a farm holding 130 chickens and 20 ducks. The remaining poultry were destroyed to try and prevent the outbreak from spreading. Movement controls, quarantine and surveillance are in action to combat the disease.